It's a good thing I bought the Panasonic Lumix camera with the x10 optical zoom and image stabilizer. I was at maximum zoom on a rocking boat taking these shots. The fishermen didn't want to get any closer. I don't know if it was out of respect for the penguins or out of fear for the rocks. 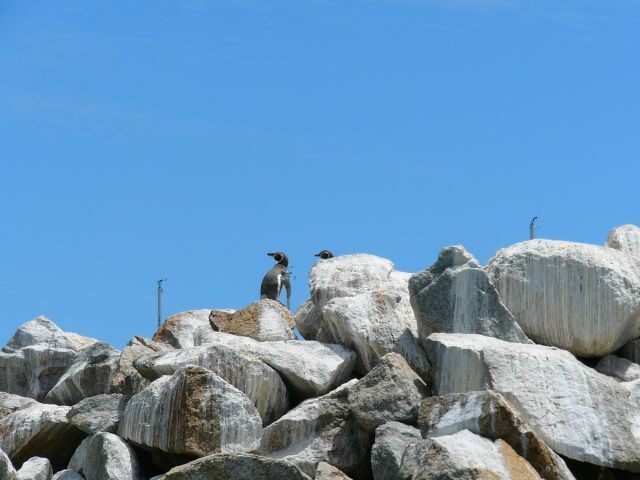 The amazing part is that the penguins climbed to the top of this rock pile. There's nothing up there for them.